The BrandZ Most Valuable Indian Brands analysis released by WPP and Kantar Millward Brown highlights the growing value of brands in India. Trust is an important key driver of brand value, with its impact on corporate performance. CVL Srinivas, Country Manager of WPP, too, stressed on the importance of brands staying meaningful to their customers as well as being differentiated in order to stay on top of the game. On whether such a brand valuation exercise helps brands in their overall growth and ad spends, Srinivas said that while advertising and marketing had some role to play, it was not the only role. “You cannot correlate ad spends to brand value, as determined by BrandZ. Salience is one of the important factors. There are some brands who score well on salience because they have done good advertising, while there are some brands with high salience who hardly advertise. These brands use other avenues such as their service, branch presence, etc.,” he added. 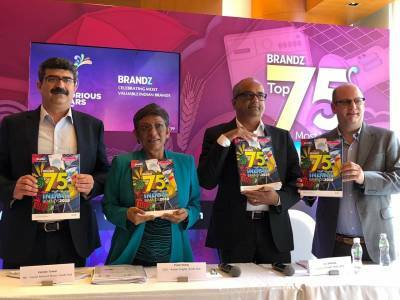 Commenting on the BrandZ report, Srinivas said that it is a connector between all the GroupM agencies, even as it connects the CMOs and the CFOs. But this doesn’t mean that FMCG brands are slipping up, even though not a single FMCG brand features among the top 10 most valuable brands. As Srinivas pointed out, “I think FMCG is still the biggest sector in terms of Adex. 27 per cent of media and advertising comes from the FMCG sector.” He added that due to the high ad spends there was a perception that when any such list came out, FMCG brands should be a dominant part of it. “But, of course, BrandZ is a much more holistic study, which takes into account a lot of other factors,” Srinivas said. The key learning from the report are presented here.